At Gainey Ranch in Scottsdale, Arizona, it’s all about the the classic southwestern American lifestyle. 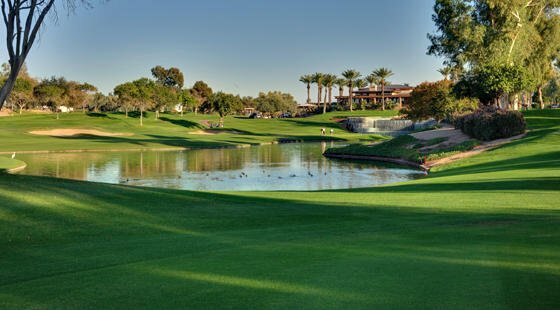 Gainey Ranch is one of the oldest and most dynamic master-planned communities in Arizona, situated around the Gainey Ranch Golf Club. What used to be an Arabian Horse Ranch is now transformed into an upscale community with 19 neighborhoods and more than 1000 total homes situated along the fairways of Gainey Ranch Golf Club. 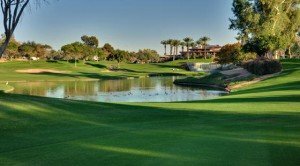 The Gainey Ranch Golf Club is an award-winning 27-hole private golf club on three championship nine-hole courses, 11 lighted tennis courts, an Olympic-size heated pool, a croquet court, tennis pro shop, a clubhouse, and cutting edge workout facility. Gainey Ranch real estate is one of the most sought-after communities in the Scottsdale market. Homes for sale in Gainey Ranch feature courtside condominiums, golf villas, town homes, patio homes and luxury estate homes. All subdivisions are gated with twenty-four hour guards on duty ensuring its homeowners and club member’s ultimate security. In just a stone’s throw away from the seclusion of Gainey Ranch is easy access to Scottsdale metro downtown area. Upscale shops, boutiques, hip nightlife, trendy eateries, fine dining establishments, respectable schools and everyday conveniences are within close proximity. Enclosed in the exclusiveness of the Gainey Ranch community is a 27-acre Hyatt resort hotel, offering high quality residences and offices, a 2.5 acre water playground, Spa, restaurants, and more, all against a lush desert landscape and the panoramic views of the McDowell Mountains with the colorful mesa as a backdrop. Discover the endless wonders of fun and excitement against a gorgeous Scottsdale setting that the community of Gainey Ranch presents. Homeowners relish in the luxury in Gainey Ranch that creates lasting memories for the family. For inquiries on Gainey Ranch real estate in Scottsdale, Arizona, just Email or call us at 480-595-6412.